Can I be deported or removed from the United States? Violating your status by failing to follow the permissible activity within your visa category. For example: F-1 international student that does not attend their classes, or a tourist visa holder overstays their authorized period of stay on their I-94. Entering the country unlawfully without a proper visa, or with fraudulent documents. 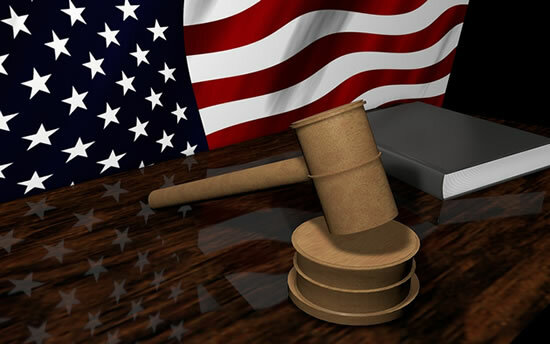 Removal proceedings (also known as deportation proceedings) is a court process initiated by the government to have an individual removed from the United States. Removal hearings are held at immigration courts. The Executive Office for Immigration Review (EOIR) is an office of the United States Department of Justice www.justice.gov/agencies/chart. EOIR oversees immigration courts in the United States. If one is a Respondent in removal proceedings, it is crucial to have a qualified attorney represent you during these proceedings. Orlando Immigration Court oversees individuals throughout the central Florida area. Our Immigration Attorneys at Mubarak Law in Orlando defend individuals in deportation proceedings throughout Florida, and nationwide. With each unique case, our legal team will take the time needed to assess the best course of action for you as an individual by creating a custom case plan. How are removal or deportation proceedings started? Removal proceedings begin with the Department of Homeland Security (DHS) filing a ‘Notice to Appear’ with the immigration court. This document will list factual allegations as to why the government deems it necessary to remove the foreign national from the United States, as well as include removability charges against the individual under certain clauses of law. What are some defenses to removal or deportation proceedings? It is critical that a person facing removal meet with an experienced deportation defense attorney to discover all defenses or forms of relief available. (b) Cancellation of removal and adjustment of status for certain nonpermanent residents (240A(b)). If you are a permanent resident in removal proceedings, please contact one of our experienced deportation defense attorneys in Orlando today. There may be other forms of relief or defenses available to you in addition to cancellation of removal. (4) establishes that removal would result in exceptional and extremely unusual hardship to the alien’s spouse, parent, or child who is a citizen of the United States or an alien lawfully admitted for permanent residence. Challenging the charges and allegations. First and foremost, our legal team at Mubarak Law is committed to assert any possible defenses to removability. Since the risk of facing deportation can pose a threat to you and your loved ones, it is our focus to protect your rights and fight in your best interest. If our fight is successful, the deportation/removal case will be terminated by the court, and the process of removal cancelled. Otherwise, the government will establish removability, and the individual will be ordered removed from the United States. For this reason, it is essential to have a highly experienced attorney represent you throughout removal proceedings. Individuals ordered removed may appeal that decision before the Board of Immigration Appeals. If you need help with any type of immigration matter or need additional information regarding Removal Proceedings, please do not hesitate to call us today at (407) 502-3000. You may also fill out our online form and we will get back to you shortly. We have a 24-hour emergency service and offer a free initial phone consultation. We can assist you in English, Arabic and Spanish.